expertise that is absolutely unrivaled in the industry. 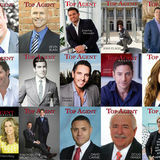 His initial exposure to the industry happened while doing the marketing for a Boston real estate company. After relocating to New Hampshire, he was hired by Coldwell Banker based on the stellar marketing portfolios he had produced. Getting his first listing on his first day, and being blessed with the mentorship of a highly successful, veteran agent who had been in the business since 1967, his career was launched and almost instantly became the unstoppable juggernaut it is today. Michael has the distinction of marketing and selling properties on more different bodies of water in New Hampshire than any agent. His marketing also help land what was, at the time, the most valuable home ever marketed on the beautiful Lake Winnipesaukee, listed at $16,000,000. 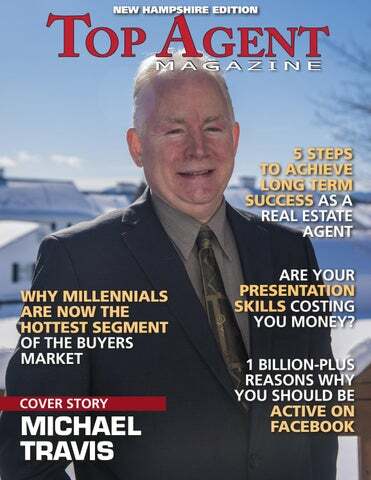 The word “impressive” feels like a massive understatement when using it to describe Top Agent Michael Travis of the Bean Group realty in the glorious Lakes Region of New Hampshire. A pioneer and innovator in utilization of social media and real estate websites has set him squarely head-and-shoulders above all other New Hampshire realtors, owning over 70 domains and websites www.waterfrontagent.com and www.buysellhomesNH.com These sites are examples of real estate marketing at its finest, showcasing not just the stunning properties he is listing, but also the unparalleled beauty and lifestyle advantages of The Lakes Region. For more information about MICHAEL TRAVIS call 603-303-2599 or email Michael@WaterfrontAgent.com WaterfrontAgent.com www. Are Your Presentation Skills Costing You Money? ometimes we’re so focused on technology and education that we forget this is a “people business”. And, a great deal of the money you make comes from your ‘point of contact’ skills. What do I mean by that? Lead generating dialogues and presentation dialogues. Yet, how much do we work on those verbal skills? Unfortunately, communication sales skills have gotten short shrift in the last decade. Why? I think it’s because many of us are so challenged by technological changes. But, slow down. Think about how you actually make money. It’s at point of contact. Getting better at point of contact skills translates into more money in less time. When you’re doing a listing presentation, what do you want to happen? You want them to sign the listing agreement when you’re done. reps present when they are in front of a group of agents in an office, talking about their services. So, doesn’t it make sense to become ‘killer’ at those presentations? You’ll double your money and halve your time. stepping up to a higher presentation level. Not only will you have personal satisfaction, you’ll make more money! Now, let’s tackle one set of presentation skills: Organizing that presentation effectively. Having heard listing presentations that wander all around the world, I know the importance of effective presentation organization. grab their attention, persuade them to your way of thinking, and motivate them to action? You can. In my new resource, Knock Their Socks Off: Tips to Make Your Best Presentation Ever, I show a simple three-step format to create your persuasive presentation. No matter why you’re in front of people, we need to be persuasive Think about it. When you’re doing a listing presentation, what do you want to happen? You want them to sign the listing agreement when you’re done. So, it’s extremely important that you organize your listing presentation using a persuasive format, not just an information-heavy dialogue flow. If you’re doing a presentation to sellers, one of the major objectives of your presentation is to persuade them to your listing price point of view. comes ‘naturally.’ Instead, make your openings: Provocative Interesting Different Engaging I just attended a ‘Train the Trainer’ session (yes, I still learn great stuff every day! ), where the trainer said it was important to engage the audience in a meaningful way in the first two minutes of your presentation. I think that’s a great rule to follow today, because people’s attention spans are the length of a gnat’s eyebrow. So, the next time you attend a presentation, see how much time elapses before the speaker/presenter/trainer gets the audience into meaningful action. I don’t mean to ask a rhetorical question, either! entation, add those stories, statistics, and visuals that support your point of view. By the way, as you create that presentation, jot down your point of view. If you’re doing a presentation to sellers, one of the major objectives of your presentation is to persuade them to your listing price point of view. So, use visuals to prove your points, not to merely show pretty pictures of houses. The Ending: What are the main, and fre- Back to the Beginning quently, unspoken objections my ‘audience’ will have? How do I educate them to show them the reasoning behind my point of view? I don’t have time to close. I couldn’t get to much of the material, but you can read it In fact, even the most professional presenters frequently have trouble with their endings. One of the main reasons is that they run out of time. Another is that they haven’t thought the ending through. This is known in the music business as the ABA format. Think of your favorite pop tune: Hum the beginning. Think of the end. They’re alike, right? It’s the middle— known as the ‘bridge’—that is the humdinger. It wanders all around. Your persuasive presentation should be crafted like that pop tune: A. A compelling start (think Billy Joel, Neil Diamond, etc.) B. An interesting, developed middle, with stories, statistics A. Back to that theme, with a motivating ending Now, you’re all set to craft a great listing or buyer presentation, great recruiting meeting or sales meeting, or awesome product/service presentation to any audience. Carla Cross, CRB, MA, President of Carla Cross & Co., is an international speaker, coach, and resource provider specializing in real estate management. A former master level CRB instructor, and National REALTOR® Educator winner, Carla was recently named one of the 50 most influential women in real estate. For a free document on standards to establish, email Carla at Carla@carlacross. com and ask for standards document. Carla has written six internationally published books, and provides coaching programs for management, including her affordable inoffice coaching programs Up and Running in 30 Days and On Track to Success in 30 Days for Experienced Agents, which provide standards, focus, and accountability. Reach Carla at 425-392-6914 or www.carla cross.com. P. S. Practice! Many more tips on presentations and presentation skills are in my new resource, Knock Their Socks Off: Tips to Make your Best Presentation Ever.